Classic Maldivian charm and inspired tranquility. Tastefully appointed setting reminiscent of traditional Maldives, Komandoo’s Beach Villas make the perfect escape for those wanting a romantic getaway. Enjoy your own private deck looking out across Komandoo’s beautiful blue lagoon. 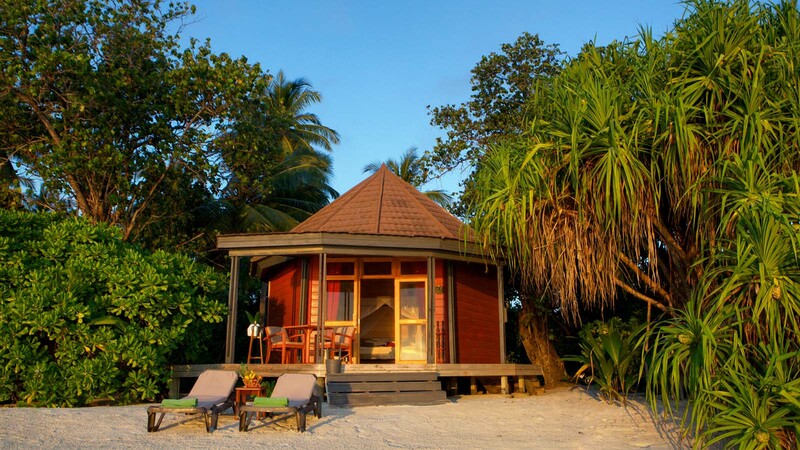 The Komandoo Beach Villas are spacious wooden retreats discreetly placed along the shoreline. Each villa has a wooden veranda where you can enjoy the sound of the ocean and a spectacular view. These classic Maldivian villas provide a harmonious space during your stay at Komandoo.